Earlier this week, one of my articles was published. I write and speak about content whenever I can because not only am I passionate about it, it really is the quickest and most effective way to generate a lead. The article discussed why content needs to be purposeful and how we can go about making it so. Writing the article got me to thinking about how we, as marketers, pick and consume content. We are very busy. Our time is at a premium. So, how do we determine what is read-worthy? Looking at lead generation, the first step to attracting a prospective reader is that the content needs to resonate with the reader. The question to ask here is “does this content resonate with me?” If it does, then we read a little more. The content also needs to tell a story and keep the reader engaged. I call this “Argo-izing your content”. If you saw Argo, Argo had its eye on the ball throughout the film. It never let up, it moved the story from the beginning to middle to the end, it connected every piece together, until the end and it kept the audience engaged. The question here is “am I engaged?” And last, the content needs to have some type of call to action – the call to action is based on the purpose. The call to action might be to educate (to get the reader to take action in their own marketing), download a white paper, watch a video, share the content, retain the content, etc. The question here is “does the content make me do something?” The underlying theme is both the content creator and the content reader must always have their “active voice” on. For the content creator, it is to continuously and consistently deliver content that resonates and engages with the reader and elicits them to take action. For the reader, it is a decision of whether to invest time in the content. So, how does this relate to MarketingCamp? Ask“does the content resonate with me?”. If you have not already checked out the incredible list of current proposed sessions for MarketingCamp, this is your first stop. Peruse the topics, read the descriptions and prioritize the content that is resonating with you. Did you know that you get to vote on the topics? Attendees choose the content. Picking and prioritizing content before arriving at MarketingCamp will save you time – you will know your top topics of interest ahead of time and the only thing you need to do is go to that session. Ask “am I engaged?”. During the session, if the content being delivered is not resonating with you, feel free to exit the session and go into another session. MarketingCamp is for marketers and you not only get to determine what content is for you, you get to do something about it – attend the sessions that are right for you. And, if the session is right up your alley, participate by asking questions, providing ideas or interact in other ways. Ask “does this content make me do something?”. After the session, you might get some great ideas to take back to your organization, you may want to chat with the speaker, or talk with your fellow attendees. You may find that after you have digested the content, you’ve come up with additional great ideas that you want to try. Go for it. The sky’s the limit. Here’s to a wonderful MarketingCamp experience and the opportunity to be exposed to amazing content. Sue Duris is the President of M4 Communications, Inc. She has more than 25 years of corporate marketing and communications leadership experience in the technology and entertainment industries. She is a published writer who frequently speaks and writes on content marketing, PR, branding and strategy. 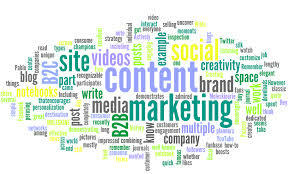 This entry was posted in Content Marketing, Event marketing and tagged content, content consumption, content marketing, content strategy, event marketing, event marketing tips on March 14, 2013 by mcsfadmin.